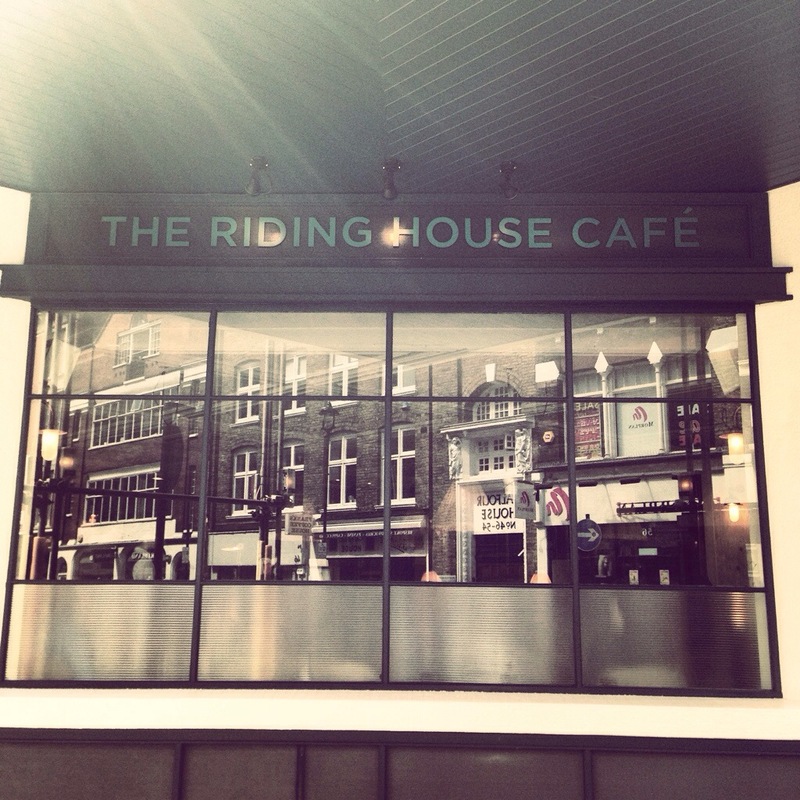 I had actually feasted in The Riding House Cafe a few times before this visit. The most poignant time being for my birthday a few years ago. A group of my bestest chums from university met for a boozy brunch. It’s a great place for boozy brunch. I remember sitting at the table, waiting for the last few people to arrive, when an enormous blue helium “2” flew through the door with no person in sight. The second “2” followed shortly after, with my friend, Joe, attached to the other end of their balloon leads. The RHC is reasonably fancy shmancy, and the people sitting next to us weren’t best pleased after two hours of having their meal essentially invaded by two ridiculous blue digits. It was the air vents’ fault. I think. We then proceeded to leave, balloons in tow, walked to a pub on Goodge Street, where we serenaded passers-by in helium-fuelled song. That was a good birthday. Anyway – on to this visit. 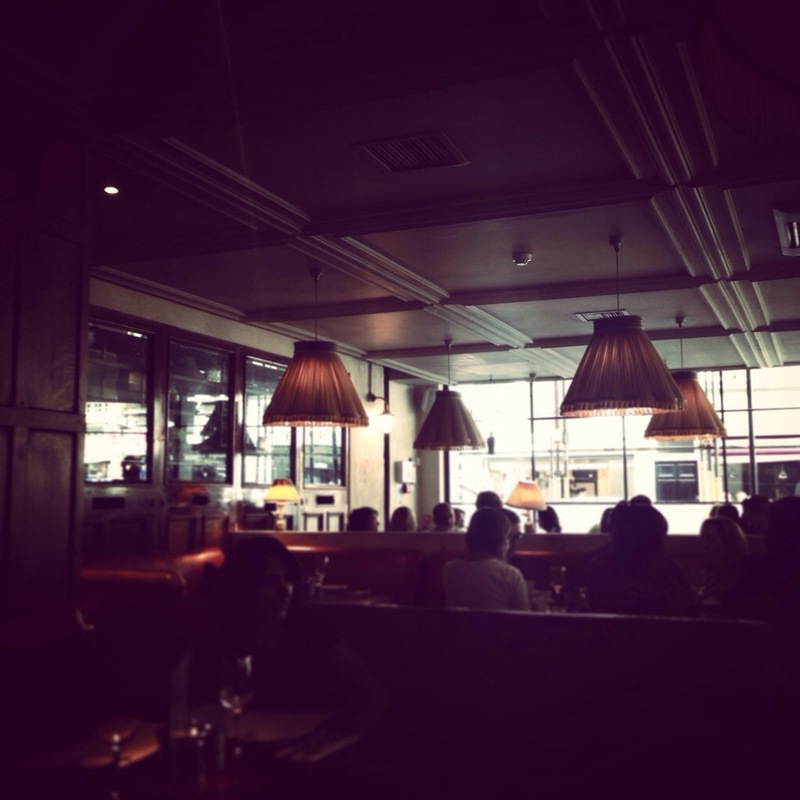 I had arranged to meet another university chum for a late lunch – this was on the same day as The Breakfast Club. Third meal of the day, in fact. It was really bizarre, because I had originally planned on brunching at RHC, but couldn’t get a booking. So when I met my friend and she told me where she had booked us a table, I was delighted! Definitely on the same wavelength. Our booking wasn’t until 2pm, so we strolled towards Great Titchfield street, stopping for a cheeky pint in the London sunshine en route. As you do. We arrived, and were quickly shown to our table. I love the quirky retro feel of the restaurant. Not convinced by the taxidermy squirrels, which look like they were attacking the light fixtures on the wall, though. But hey. You can’t have everything. I was actually surprised at my hunger, seeing as I had eaten more than I usually would in a day by that point. Having done breakfast-style cuisine twice already, I headed down the lunch path. The path led straight to sandwich-town. 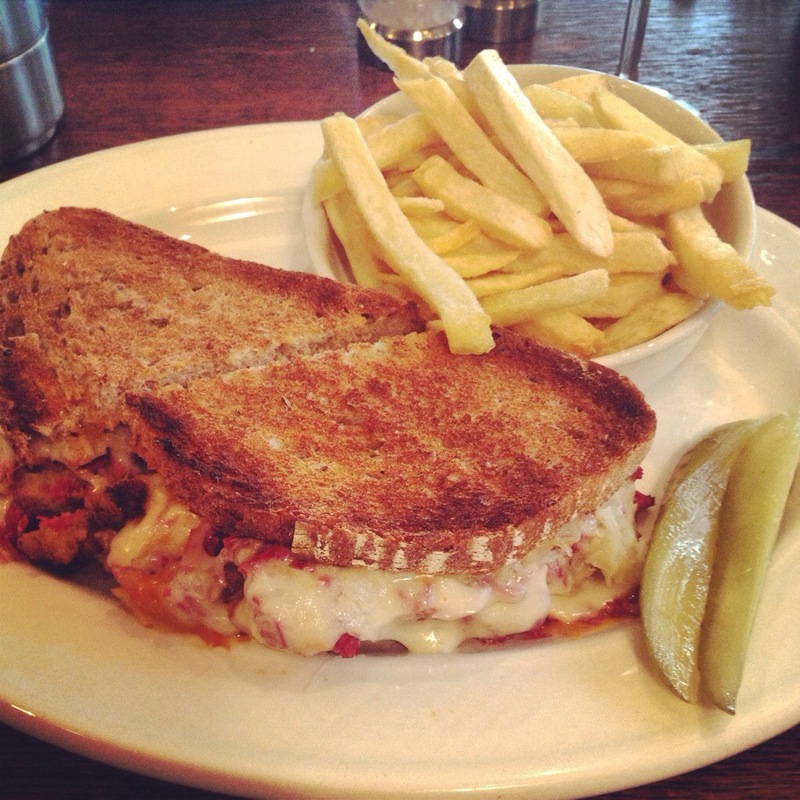 I selected the Reuben Sandwich – salt beef, sauerkraut, Emmental (Mmmmm CHEESE), gherkin, thousand island dressing, and a side of french fries. 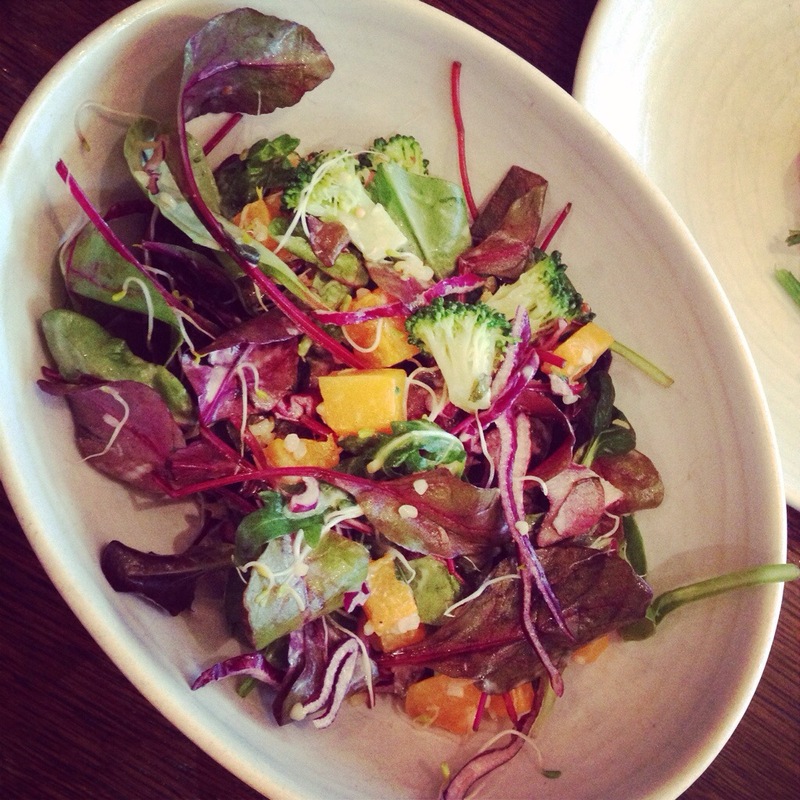 My partner-in-crime, a vegetarian, went for a two-dish combo. 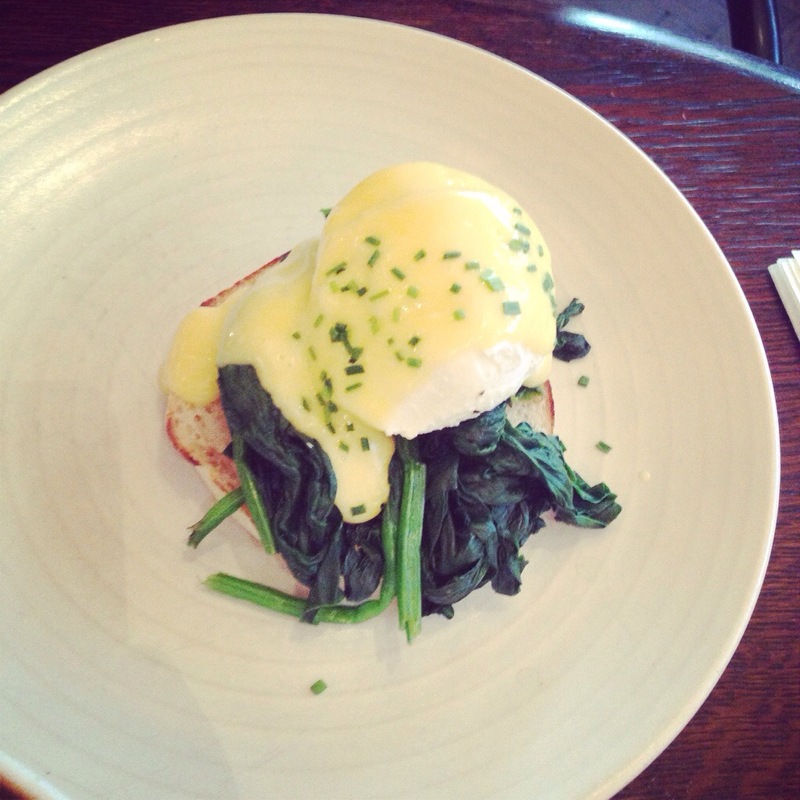 The small eggs florentine, with the raw salad. All from their Sunday Brunch menu, served from 11:30am – 4pm. Both full to the brim by this point, neither of us could realistically stomach the thought of a proper dessert. The solution to this dire issue of ours? A milkshake cocktail. Obviously. I went for the “Pie & Scoop” – Tanqueray, crème de mûre, lemon, vanilla ice cream, milk, and cream, while my friend had the “Toblerone” – Mozart chocolate liqueur, Frangelico, Kahlua, honey, chocolate ice cream, milk, and cream. 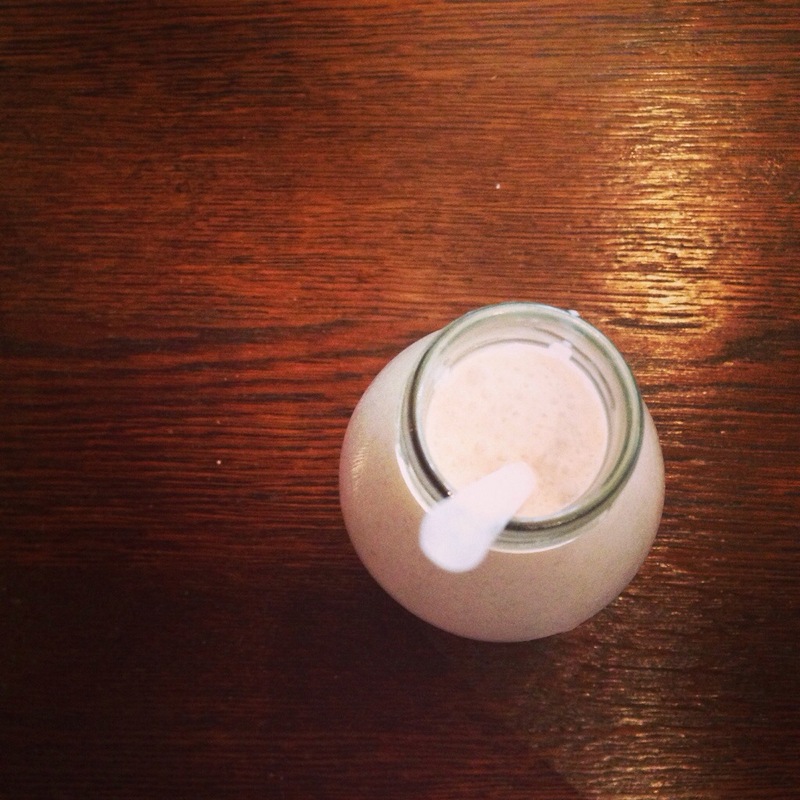 Served in old-school milk bottles, with straws, they didn’t last long. Two minutes at most. I think we were both tempted to order a second one, but then the voice of reason kicked in. If we ordered another, we felt that would be it. 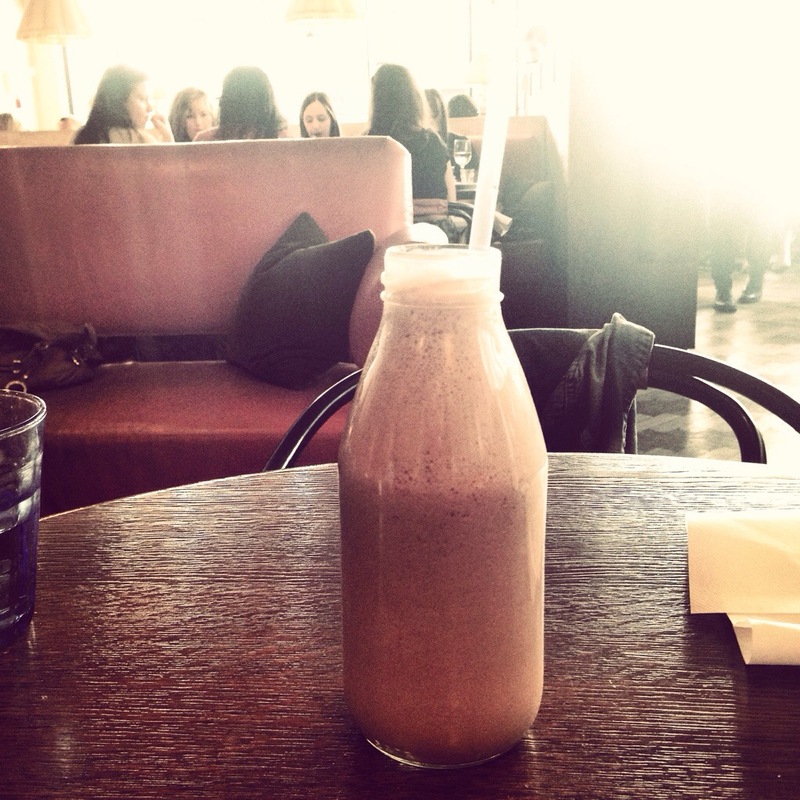 We would stay there for ever and ever drinking grown-up milkshakes. Our chatty waiter recommended another place to go for boozy milkshakes after seeing the sheer delight on our faces having consumed these ones. Steam and Rye for a 5 Dollar shake. The bomb diggity of shakes apparently. I didn’t have time to go on this trip, but I’ll be heading that way for sure when I next touch down in London town. Price-wise, we paid £25 each for food, a 500ml Carafe of house white, and a milkshake cocktail each. Really reasonable, and really worth it. I 100% recommend heading down if you find yourself in the big smoke.